The best thing about being able to integrate social media into your strategy is the fact that you control what goes on the screen. Sure, the fun images that your customers take on their smartphones and cameras can be easily connected to your store via hashtags and social handles, but you’ll still have final approval over what is displayed. 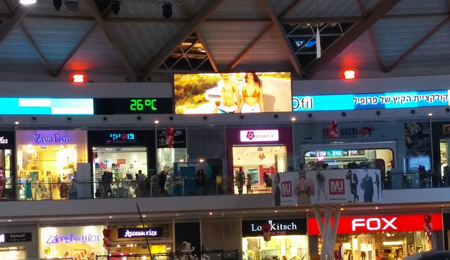 Putting up news and sports on your store’s screen will enhance your customer’s experience and make the overall vibe of your establishment livelier. You also will have the ability to cater what is on screen to the type of items you sell. For example, if you are a clothing retailer, finding the news reports that match positive feedback about your jeans, shirts, and skirts (then letting those images and words be in rotation on your digital display) will influence buyers to look in that item’s direction. Many times a year, owners of retail chains run specials or events that are not always announced effectively enough. 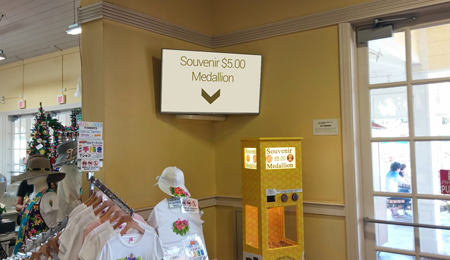 With your digital signage, you can get customers talking about the upcoming occasion while they browse your store items. And, if they have your company’s hashtag (which can also periodically be displayed on your screens), it can get talked about on social media as well, just by them seeing it for a few seconds on the display. 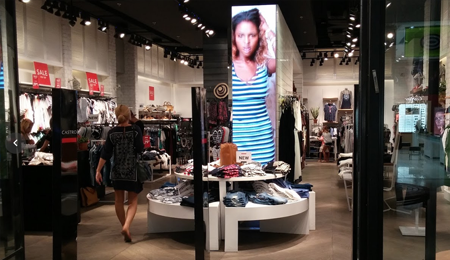 Whenever a retailer shows products on their digital sign, it can sway their patrons into thinking about what it is they want to buy while in the store. Showing the on-sale items for the coming days (or simply reminding them as they shop) can affect the food they buy, clothing they try on, or appliances or outdoor equipment they consider purchasing. It’s a great way to bolster sales within the establishment. 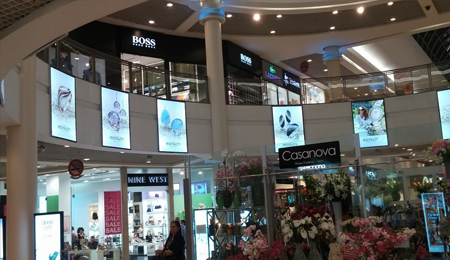 If you have a retail chain that contains stores in many different places, you will enjoy the remote control feature of your new digital signage. 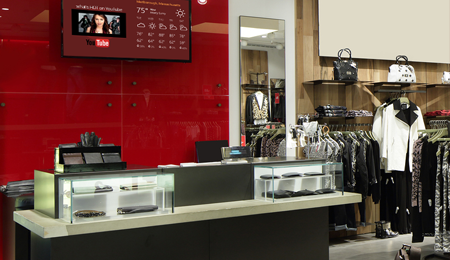 From your present location, you can quickly modify what is on the screen at each store to your liking.